Many migration decisions are wrong – but since legal aid for such cases was scrapped by the LASPO Act 2012, few migrants have the money to challenge them. Meanwhile, an ongoing review drags on. In parliament this week, the newly appointed Home Secretary Sajid Javid, vowed to “do right” by the Windrush generation. His colleagues – including his predecessor Amber Rudd – have in recent weeks reassured us that the Home Office can and must change its spots, and act with compassion and administrative flexibility. Rudd also repeatedly told Parliament in recent days that the Windrush children did not need access to lawyers or independent legal advice to regularise their status, saying the system “[does] not require people to go to their lawyers […] it will be sufficiently constructive, sympathetic and helpful that it will not require people […] to have lawyers”. But before the Guardian exposed Windrush as a national scandal, ultimately leading to Rudd’s resignation on Sunday night, any immigration lawyer would tell you that although winnable, Windrush cases were difficult to prepare, and generally required firm correspondence with the Home Office and, in some instances, a Court challenge. Dealings with the Home Office in Windrush cases pre-scandal certainly did not suggest the department was capable of compassion and administrative flexibility. When legal aid was abolished for immigration cases in 2013, those same lawyers would tell you that it became virtually impossible for Windrush children to succeed in obtaining confirmation of their legal status and that too many vulnerable people were left to their own devices to deal with a targets-obsessed Government organisation that took no prisoners (except when they did). Even before the 2013 cuts to legal aid, applications for even the most basic way Windrush children could obtain confirmation of their legal status in the UK – No Time Limit (NTL) status – were notoriously complicated. 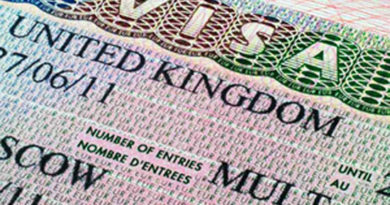 They required official documents and records of someone’s life in the UK spanning over as many as four decades. The Home Office showed no flexibility for such applications. They rarely accepted alternative forms of evidence from applicants, such as personal testimonies, when official records were unavailable or recklessly destroyed by the Home Office itself. It also rarely made contact with people to obtain further evidence when documents were missing from an application and it irrationally refused to liaise with other Government agencies to obtain confirmation of someone’s continuous residence in the country by, for example, requesting evidence of uninterrupted payment of National Insurance contributions from HMRC. 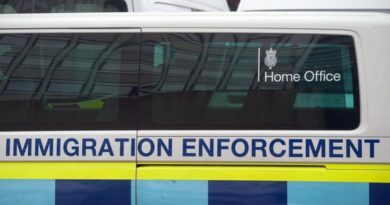 Giving evidence to the Home Affairs Committee on Wednesday, Adrian Berry, the head of the Immigration Law Practitioners’ Association, perfectly summarised the problems: “the cogency of the evidence and the level of the quality of the evidence that is required [by the Home Office] […] is the problem. […] there is a very good case for saying perhaps the burden ought to be shared [between the applicant and the Home Office], because the primary way of corroborating a person’s narrative account of their life in the UK is through things like National Insurance contributions and pension contribution records”. The Home Office hostile approach, together with target-obsessed poor decision-making (see reports here, here and here) meant that Windrush generation children needed legal representation to navigate the complicated and chaotic framework that is the UK immigration system. Most importantly, they required initial advice from a lawyer to understand what their rights were and how to enforce them. Members of the Windrush generation arrived in the UK as children and spent decades in the UK confident of their legal status in the Country. When wrongly told otherwise, initial legal advice became fundamental to challenge that assertion. Legal aid for immigration cases was abolished in 2013. When the Legal Aid, Sentencing and Punishment of Offenders Act 2012 (LASPO) came into force in April 2013, the Windrush generation were automatically excluded from the benefit of free legal advice and effectively from any form of meaningful access to justice that could help them obtain confirmation of their legal status in the UK. For extreme cases where the denial of legal aid would breach human rights, LASPO introduced a “safety net”, known as the Exceptional Case Funding (ECF) scheme. But this safety net does not cover initial legal advice, and in the first year only 1% of applications for ECF were granted. So the only way that Windrush children could realistically access legal advice post-LASPO was by having enough money to pay for a lawyer. That’s on top of Home Office application fees of up to £2,389 for Indefinite Leave to remain. And that’s amidst financial struggles for the Windrush children, many of whom had been sacked or refused the right to work. The situation was worsened when the Immigration Act 2014, in addition to the introduction of more stringent “hostile environment” policies, removed the right of Windrush children to appeal to an independent Tribunal against negative Home Office decisions. So not only did initial legal advice suddenly became unavailable to Windrush children, but poorly made decisions remained effectively unchallenged as the great majority of people found themselves unable to pay for legal representation in Court. 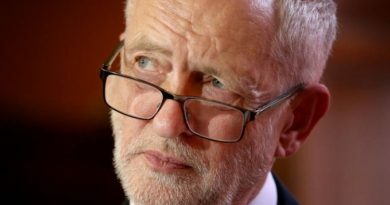 As Jeremy Corbyn pointed out on Wednesday during Prime Minister’s question time “the dismantling of legal aid provisions in 2012 made the impact of the 2014 Immigration Act harder to challenge. These policies swept up British citizens and legal migrants causing them immense suffering”. 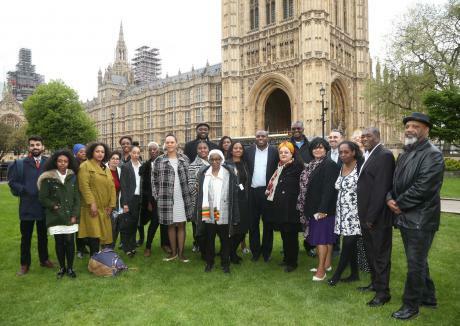 In an increasingly hostile environment, with no access to free independent advice, good decision making and impartial Tribunals, it’s no surprise that Windrush children were left unable to navigate an overly complicated system and that proving their legal status in the UK became an impossible endeavour. The Windrush scandal seems to be the obvious opportunity for the Government to review the cuts to legal aid and the disastrous impact that they have had on so many people’s access to justice. However, before being forced to resign, Rudd went out of her way to explain that she was “not looking at changing legal aid”. Whether that is also the will of Sajid Javid remains uncertain. On his first day in the job, Home Affairs Committee chair Yvette Cooper MP asked him if he would “look again at reinstating independent appeals and legal aid to prevent injustice in future”. Javid ignored the question, but pressed by Karen Buck MP on the same point, he merely referred her to the Justice Department’s review of the LASPO act already underway (and already delayed, with fresh doubts over the revised summer deadline). What is obvious, however, is that the current system makes the access to justice gap worryingly wide for too many vulnerable people such as the Windrush children. As Katharine Viner wrote in the Guardian this week, the Windrush scandal shows the need for a system to hold power to account. Sadly, the removal of legal aid for the great majority of immigration cases did just the opposite. It created a system where people at their most vulnerable are unable to access basic legal representations to assert a right that has been theirs all along. It created a system where bad-decision making remains unchallenged and where people find themselves alone dealing with an unfriendly and unsympathetic institution. That system is plainly unsustainable and it can no longer be tolerated.